JAPAN - While on assignment in Tokyo for Hewlett Packard I had some time off over a weekend and decided to visit Senso-ji, an ancient Buddhist temple located in Asakusa. It’s the oldest temple in the city and one of the most famous. What I did not realize is the breadth of the shopping arcades surrounding the sacred buildings and also that this was the center for the celebration of Brazilian Samba in Tokyo. 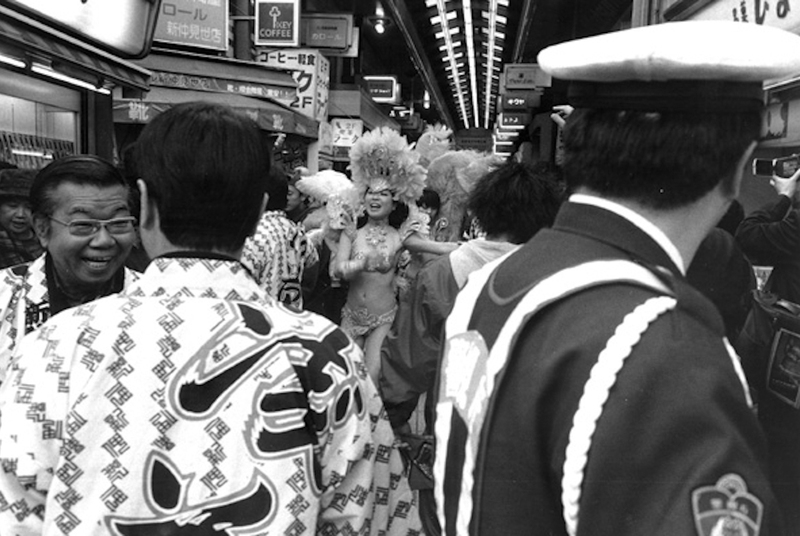 So picture a scantily clad Japanese dancer followed by drummers and surrounded by police, local tourists and the wayward monk as she wended her way through the Buddhist bazaar.